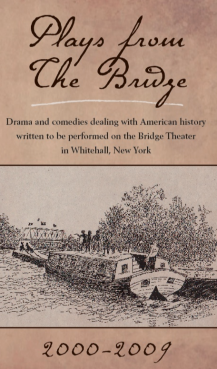 This book is a collection of seven plays dealing with American history--featuring Benedict Arnold, Dolly Madison, and John and Abigail Adams--originally written to be performed on The Bridge Theater in Whitehall, New York. The Bridge, housed in the bridge over Champlain Canal Lock 12 for nearly ten years, was considered to be one of America's most unique theaters. Martin P. Kelly is producing artistic director for the Bridge Theater in Whitehall, New York, and also is producer of the Riverview Entertainment Productions Company. This is his 60th year in theater, during which time he has produced/directed, wrote or appeared in more than 200 productions. A graduate of Siena College (Loudonville, New York) with a B.A. in English, he received his M.F.A. in theater at Catholic University of America. As a drama critic for 24 years with The Times-Union (Albany, New York), he reviewed more than 2,500 plays and musicals performed in the Albany region, on Broadway, and in Canada, England, and Moscow. As a playwright with 18 plays to his credit, three of them done off-Broadway and seven done at The Bridge Theater, he currently is preparing a premier production of "Diplomat Above All" about the life of John Quincy Adams. An Albany (New York) native, Margaret M. Kelly has long been interested in the life of Dolley Madison. As a child, she first read of the fourth president's wife in a children's book given to her by her mother. Her one-woman play, "Hostess to History," was premiered in 2005 at Whitehall's Bridge Theater. Ms. Kelly received a B.A. in English at Catholic University of America with a special literary study of William Shakespeare. In her master's studies at the University at Albany, she concentrated in the study of English playwrights. For two seasons she served as public-relations director for the MacHaydn Theater in Chatham (New York) and assisted in the transfer of the theater from the Chatham fairgrounds to a former doll factory. Currently she is editing her play about a leading New York State inventor of the 19th century.